Love s’mores? Love chocolate chips cookies? 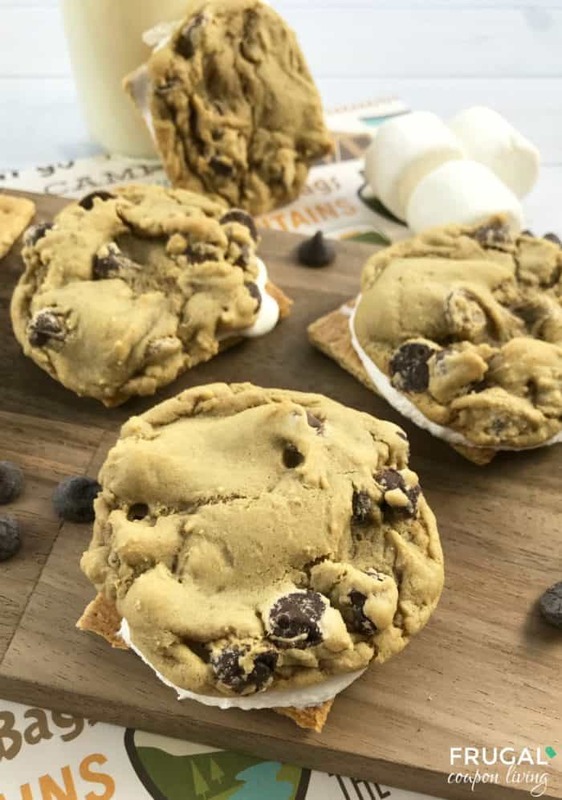 We have the perfect dessert mix for you with this Chocolate Chips Cookie S’mores Recipe. Careful, they are addictive! 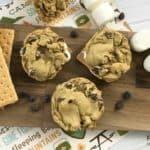 You guys have loved our non-traditional S’mores Recipes including the very popular S’mores Campfire Cones (this one if our favorite too!) 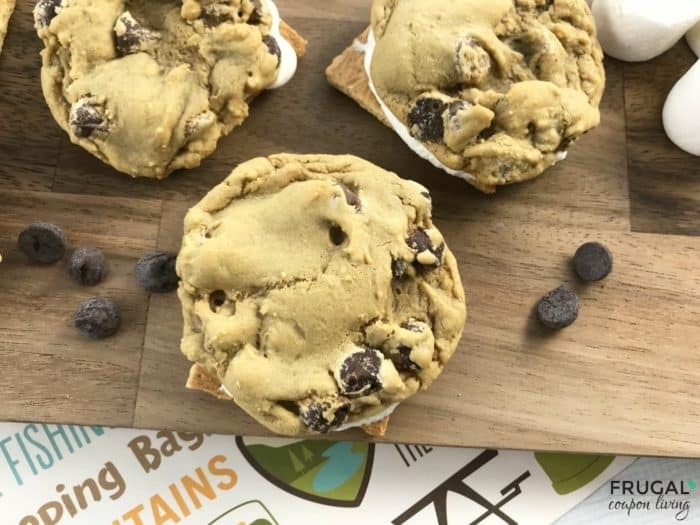 We decided to take that twist on the traditional dessert and create these Chocolate Chips Cookie S’mores. We used a homemade Chocolate Chip Cookie recipe, but you can use your store brand break and bake cookies too! 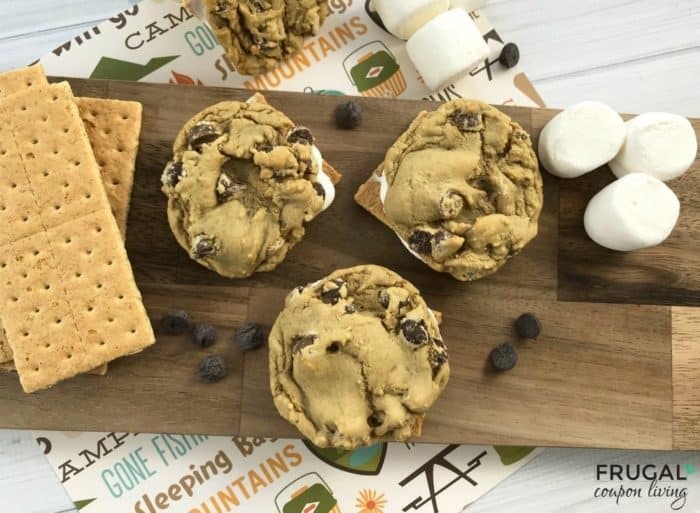 If you feel like taking this dessert to the campfire, pre-bake the cookies and bring your marshmallows, graham crackers and cookies on your campout. This recipe makes approximately 2 dozen cookies. Preheat your oven to 350 degrees and line a large baking sheet with a non-stick baking mat or parchment paper. Using a hand or stand mixture, combine the brown sugar, softened butter, eggs and vanilla extract. Slowly fold in the dry ingredients. Add in the chocolate chips. Drop by heaping tablespoon full onto the baking sheet at least 2″ a part. 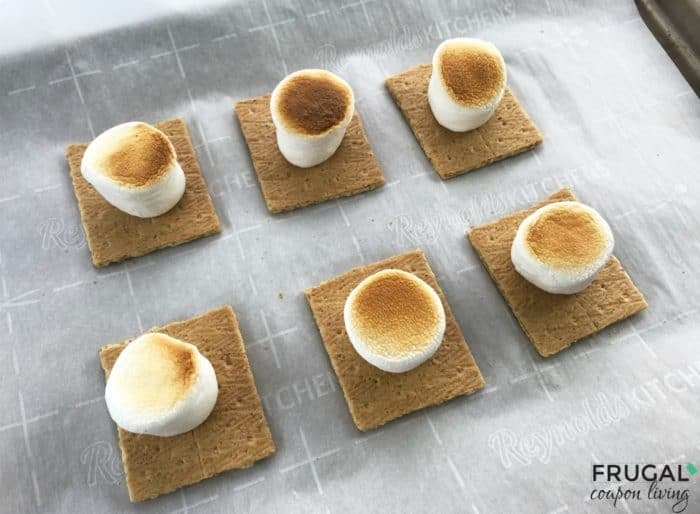 Place 8 – 10 graham cracker halves on the baking sheet and top each one with a large marshmallow. Place under the broiler under the marshmallows begin to get melty and brown. Remove from the oven and place one chocolate chip gently on top of the marshmallow, pressing down. You want the marshmallows melty so they squish down under the chocolate chip cookie. Repeat with all the cookies. Love S’mores? 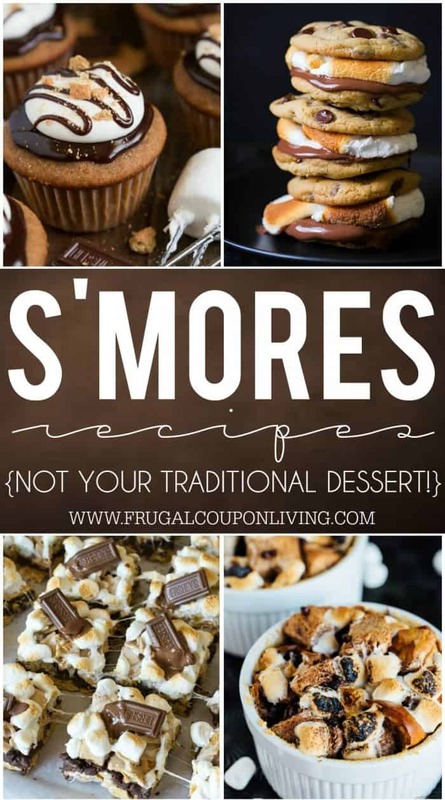 Take a look at these non-traditional S’mores Recipes. Pin to Pinterest. 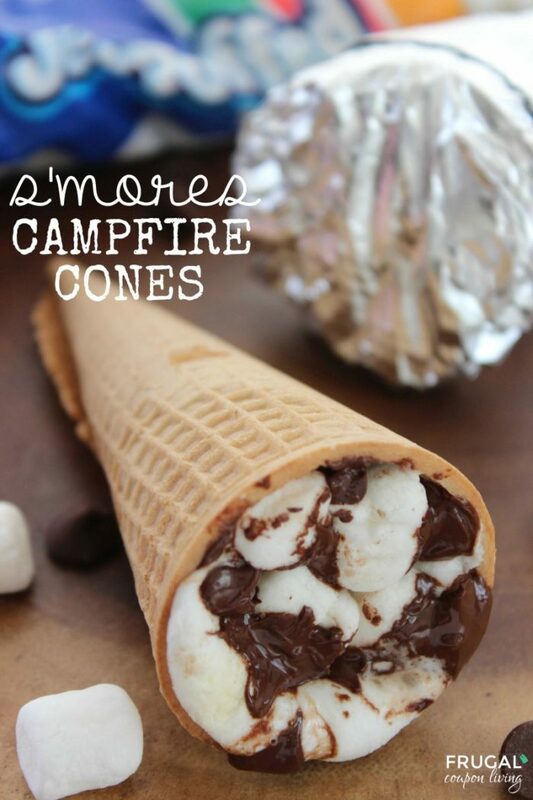 One of our most popular recipes are these S’mores Campfire Cones. Pin to Pinterest.